Go to > GodDrivenLeadership.com for more! I had no idea he was a former pastor. He emailed me on a business matter. I noticed his email said nothing about his ministry, so I asked about his ministry in my response. From my perspective, this man would have been one of the least likely to leave the pastorate. Not only did he leave, he is adamant he will not return. 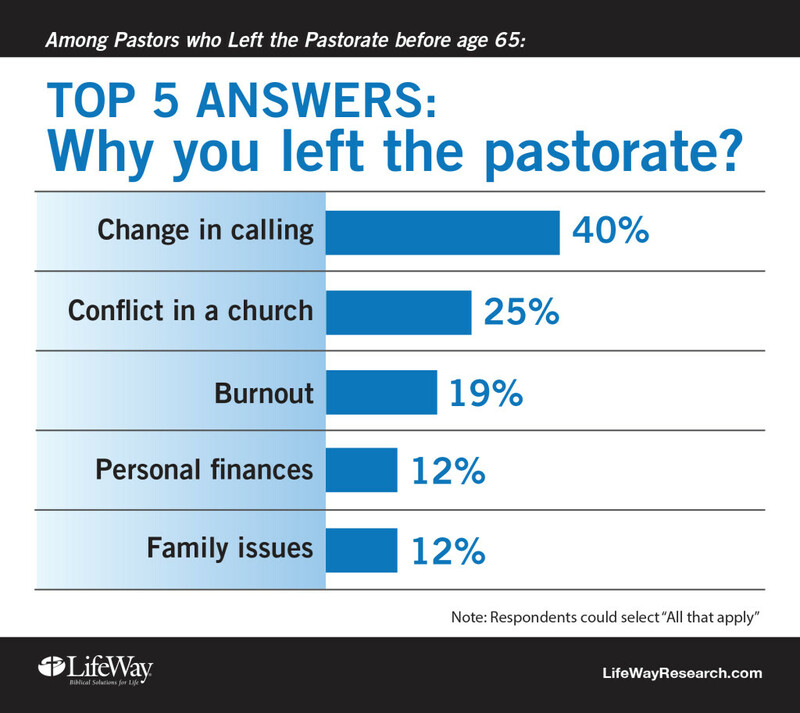 LifeWay Research recently released a study about pastors who left the pastorate before they were retirement age. You can read more about the study here, but I want us to look at six key issues from the study that are vitally important. Nearly half (48%) of those who left the pastorate said the search committee did not accurately represent the church. I have heard this information anecdotally, but I did not expect the response to be this high. More than half (54%) of the respondents said a church member had attacked them personally. Consequently, one of four said they left the church because of conflict. Nearly half (48%) of the former pastors said they had not been trained for relational and leadership issues. We hear this from current pastors and staff as well. Four in ten of those who left the pastorate said they had a change in calling. We hope to delve into this issue later. One in eight of the former pastors left for financial reasons. Many pastors are underpaid. Many pastors leave the pastorate as a consequence. One in eight of the respondents left because of family issues. Again, we have covered this issue several times at the blog and on the podcast. How do we respond to these issues? How can we be greater supporters of our pastors and staff so they don’t feel like they have to leave the church? Let me hear your thoughts. The online survey of former senior pastors was conducted Aug. 11-Oct. 2, 2015. The sample lists were provided by four Protestant denominations: Assemblies of God, Church of the Nazarene, The Lutheran Church—Missouri Synod, and Southern Baptist Convention. Each survey was completed by an individual who has served as a senior (or sole) pastor but stopped serving as senior pastor prior to age 65. The completed sample is 734 former pastors. The study was sponsored by the North American Mission Board and Richard Dockins, M.D. This article was originally published at ThomRainer.com on January 13, 2016. Thom S. Rainer serves as president and CEO of LifeWay Christian Resources. Among his greatest joys are his family: his wife Nellie Jo; three sons, Sam, Art, and Jess; and seven grandchildren. 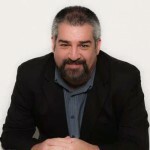 Dr. Rainer can be found on Twitter @ThomRainer and at facebook.com/Thom.S.Rainer. 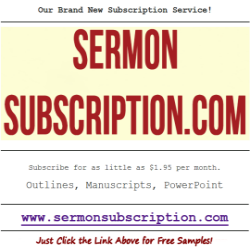 Facing the task of sermon preparation each week can be daunting for any preacher. It can also, over time, become a monotonous burden if we let it. While there are those rare individuals who never lose their fire, and continuously produce God-inspired sermons with never a hiccup, that is not the case with most of us. The sad truth is that some of us fall into a pattern of preaching that might “get the job done,” but somehow lose our purpose in the process. Some of us need to be reminded of the great calling God has given us and remember the privilege we have to address a group of people each week, no matter the size, who are hungry for a Word from God and are expecting us to deliver it. If that declaration is true, and I believe it is, we need to always keep that calling from God at the forefront of our minds and hearts as we prepare to address those under our care each week. To help us do that, I am proposing Four R’s of Preaching that should stand as a reminder and a guide for those of us who are privileged to share God’s Word from the pulpit. I have noticed a lack of reverence coming from some of our pulpits. Sometimes a preacher will allow the message to be more about him than it is about God. We need to approach the task of preaching with an understanding that we are mere spokespersons for the Great and Mighty Creator of the Universe. While preparing our messages and while preaching them, we must remember Who it is we are doing this for, and make sure that He features prominently in our message. We are not calling people to follow us, but our God and Savior. We must come to the sacred text and to the pulpit with a sense of awe and wonder, as well as with recognition that God is watching every word that we utter. We are given a great responsibility. God has called us to lead men and women to His Son, Jesus Christ. He has also called us to teach and disciple those who have already accepted His wonderful offer of salvation. This is not something to be taken lightly. When we are preparing our messages we need to always remember to give the time and effort necessary to communicate God’s will clearly. The preacher who takes this responsibility seriously will always makes sure to be prepared, to have studied diligently, to have prayed fervently, and to have the needs of the people and God’s solution to those needs at the forefront of every sermon. If you do not respect the people you are speaking to, not only will they pick up on it, they will turn a deaf ear to everything you have to say. I am well aware that some of the people in the audience might be people who have done you or your family wrong, or given you reasons not to have much respect for them. I get it, I really do! On the other hand, even if you can’t respect the person, you can respect the message God has given to you and deliver it in a way that is meant to lift people up, rather than bring them down. Consider that those who may have wronged you need this most of all. When you show honor to those in your congregation by showing respect to them, to God, and to His Word, you will have come a long way toward leading others toward spiritual insight and personal growth. 1) There is a great temptation for some preachers to deliver personal rebukes from the pulpit. Rather than confront a person in private, during the sermon they will bring up something this person has done wrong and then go on the attack. They normally won’t mention the person by name, but everyone knows who they are talking about. Don’t do this…EVER! There is nothing wrong with confronting sin from the pulpit, and we are called to do just that, but never, ever, do it in a personal way, or in a way meant to embarrass or demean an individual. If you need to deal with a problem, take the person out to coffee or meet in your office and discuss it one-on-one. 2) To use an old term, some ministers “go everywhere preaching the Gospel” from the pulpit. They have trouble sticking with one subject and go from one topic to the other, never really landing on anything solid. Here is something to remember – when you go into the pulpit, have one point. You might have three steps to this or four reasons for that, but there must be an overarching thought or purpose that you want to get across. Don’t stray from that. You don’t need to preach the whole Bible every week. This week, as you prepare for the weekend, make sure and remember the Four R’s! 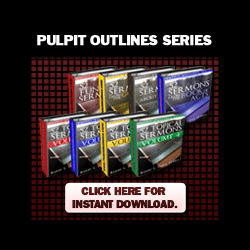 It will help you more than you can know, and you will become a better preaching in the process. Approximately 50 times a year I stand up in front of a congregation and preach. I have been preaching for many years, and in my early ministries preached twice each Sunday. In other words, I’ve preached thousands of sermons, and chances are, you have too. For most of us in pastoral ministry, preaching is considered, both by the preacher and the parishioner, to be the most important thing that we do. I always spend a great deal of time in preparation for that half hour or so that I am privileged to communicate on Sunday morning. In fact, I find it one of the most significant things that I can spend my time on, and that is why I have dedicated my life to doing it. The reason I do what I do in this regard is because I fully believe in the power of preaching to change people’s lives – and if I didn’t believe that, I’d quit doing it. Paul and Barnabas were not offering sermonettes, or simply nice sayings to make everyone feel good, but were preaching in the power of God so that people’s lives would be changed. And lives really were changed as a result of the message they gave and the spirit in which they gave it. The exact same can happen when you preach God’s Word in power. In this article I am using the word “PREACH” as a framework to help us understand how God uses this powerful tool, and hopefully to impress upon you the power that preaching can have over your unchurched friends. What I want us to do is see how God used preaching throughout the history of Acts and elsewhere and how He still uses it today. When we proclaim something we are making some type of an announcement. In preaching we are proclaiming the death, burial, and resurrection of Jesus Christ. In a nutshell, we are giving the good news of the Gospel of Christ. Let me give you just a few examples from the book of Acts. In these three examples alone we see the proclamation that Jesus is the Messiah, that Jesus offers us forgiveness of sins, and that Jesus rose from the dead. We will see these same themes proclaimed by the apostles and others throughout the entire New Testament. I have studied every sermon preached in the book of Acts and the most common theme by far is Jesus’ resurrection from the dead and the events surrounding it. From this fact we learn that the power of preaching is found in the message that we are proclaiming. And what we are called to proclaim to the multitudes is that God has come in the flesh, lived a sinless life, died on the cross as our substitute, has risen from the dead, and now sits in glory at the right hand of the Father. Please keep this in mind as you prepare your future sermons. While there is certainly a place for messages on family life, being a good boss/employee, and many other topics, central to everything we preach must be the death, burial, and resurrection of Jesus Christ. I could relate to that – I thought I was a pretty good person – I thought I was in search of the truth. The more I heard this stuff, [the more I realized that religion is not the answer; salvation is. You just have something inside of you that knows when you hear the truth. All of the things we think about ourselves, how we define ourselves—all that is insignificant when it comes to what’s going on in our soul. James gave me one of the greatest gifts anybody could have ever given me – He led me to the Lord. What was he saying? He was saying “I’m not proclaiming Jesus to you as a theory, but as a reality – not as a God who wants to condemn you, but as a God who wants to save you.” Preaching should bring restoration to those who have never known God as well as to those who once knew Him but have checked out for some reason or other. I’ve attended some churches where we never received any teaching beyond the most elementary doctrines of the Christian faith. The members didn’t know how to apply their faith to their everyday life because no one ever showed them how. One of the things that makes preaching powerful is that it can and should be used to equip those who are already believers in how to live their faith, share their faith, and know their faith intimately. This maturity of understanding spoken of here comes only when the servant of God preaches and teaches the deeper things of God to the Christian community. It is our job as Christian leaders to make sure that our flock is learning, step-by-step, the deeper things of God. While we talk a lot about evangelism, we must realize that our job isn’t over until we have fully equipped those who have been won to Christ. If you are staying true to your calling as a minister then your members should walk out of church every week better equipped than they were the week before. If that’s not happening, something is wrong. I certainly wouldn’t limit this equipping to the weekend sermon, as there should be plenty of other opportunities available, but it definitely begins for most churches in the corporate worship time. There is nothing more comforting than knowing that you are a child of God, that your sins have been forgiven, that you are bound for heaven, and that God loves you. Preaching is powerful, because it takes the comfort of God from the Word of God and brings assurance to His people. The promise of forgiveness and salvation is given as an assurance to all who turn to the Lord. I’ve been in churches where the minister actually said, “I hope that we’ll be saved…we’ll just have to wait to find out.” That is utter hogwash and goes completely against the mandate that God has given to His preachers. We are given the power to proclaim that God not only makes promises, but that He keeps His promises, and that we can live for Him because we do so with the assurance that we are His children now, and we will always be His children. Stephen Kingsley owns a carpet cleaning business and he offers a special service for removing pet urine odors. To show potential customers their need for the service, he darkens the room and then turns on a powerful black light. The black light causes urine crystals to glow brightly. To the horror of the homeowner every drop and dribble can be seen, not only on the carpet, but usually on walls, drapes, furniture, and even on lamp shades. One homeowner begged me to shut off the light: “I can’t bear to see anymore. I don’t care what it costs. Please clean it up!” Another woman said, “I’ll never be comfortable in my home again.” The offense was there all the time, but it was invisible until the right light exposed it. It would have been cruel to show customers the extent of their problem and then say, “Too bad for you” and walk away. He brought the light so that they might desperately want his cleaning services. In the same way, God shines the light of his commandments through preaching, not just to make us feel guilty and leave us that way. He has a cleaning service to offer—salvation through Jesus Christ. The power to preach is found in its ability to convict us of sin, lead us to repent, and to experience the refreshing waters of salvation. I will never forget week after week, coming under the preaching of a powerful spokesman for God and having my sinfulness come to the surface. Did that anger me? No! It helped me to realize that my life was headed down the wrong path and that only Jesus could make me whole again. We must not be afraid to preach to convict those who are away from the Lord, as well as to those who have professed faith in the Lord but, to use an old and almost forgotten term – backslidden – so that they will turn back to Him. Recently, a Kansas City pharmacist was charged with diluting cancer treatment drugs, Gemzar and Taxol, in order to make a larger profit. So far there are 20 felony counts against the pharmacist, Robert Courtney. He admitted to diluting the drugs during a period of time spanning from November 2000 to March 2001. This man held life-saving power in his hands and for the sake of personal gain diluted it to the point where it could not help people. We can do the same with God’s life-saving truth if we do not respect and honor Him in the message we proclaim. The words said from the podium must always be said in such a way as to bring honor to the God we claim to worship. I don’t have a single verse to give you to illustrate this – to get a sense of the honor and esteem with which these early preachers spoke of God you would need to read through the entire book of Acts, and actually the entire New Testament. We obviously don’t have space for that, but we need to recognize that the real power of preaching is derived from the one whom we are preaching about. If we are going to see results God must be honored by every single word that comes from the stage – and we need to be committed to doing that every week. “Peter Jenkins Finds Jesus While Walking America,” accessed January 12, 2015, http://www.christianitytoday.com/ct/2003/januaryweb-only/1-6-22.0.html. Barry L. Davis spent two decades as a Senior Pastor and started the ministry of The Pastor’s Helper in 1996. The Pastor’s Helper strives to provide tools and resources to help pastors succeed in their ministry calling. His latest book is God-Driven Leadership: A Call to Seeing, Believing, and Living in Accordance with Scriptural Principles, from which this article is derived. In the broadest sense, a chaplain refers to those who are assigned to care and provide ministry for a specific group of people. Military and hospital chaplains, for example, have clearly defined groups who come under their care and ministry. In local church ministry, we don’t typically use the term “chaplain,” though there are many pastoral roles that are congruent with chaplaincy. In fact, most of the pastoral care and concern for church members are chaplain-like functions. Without a doubt, pastors should minister to church members. The danger is when pastors do little other than minister to the needs of church members, and the leadership of the church is neither equipping others nor leading the congregation to reach those who do not have a church home. In essence, the pastor is becoming a chaplain. Here are ten warning signs that such a process is likely taking place. The pastor is not equipping others. Church members expect the pastor to do most of the ministry, and the pastor fulfills those unbiblical expectations. Pastoral care of members is increasing. As a consequence, the pastor has less time to lead the congregation to reach beyond its walls. The pastor does not take time to connect with non-members and non-Christians. 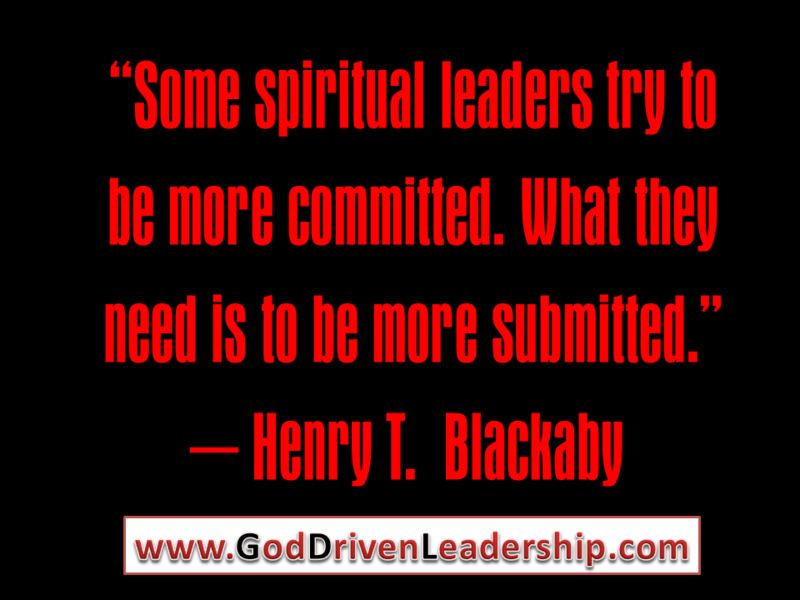 Simply stated, there is no outwardly focused Great Commission leadership. The pastor deals with members’ complaints at an increasing rate. Once members get accustomed to the pastor being their on-call chaplain, they are likely to become irritated and frustrated when the pastor is not omnipresent and omniscient for their every need. The pastor worries more about the next phone call, conversation, or email. Such is the tendency of the pastor-chaplain who knows there will always be complaints about needs not getting met. The pastor experiences greater family interference time. Many pastor-chaplains are fearful of protecting family time lest they not be highly responsive to church members. Some of these pastors have lost their families as a consequence. The pastor is reticent to take vacation time or days off. Pastor-chaplains would rather have no time off than worry about what they may miss while they are away from the church. The pastor is reticent to take new initiatives. There are two reasons for this response. First, the pastor-chaplain does not want to upset the members with change. Second, the pastor-chaplain does not have time for new ideas because of the time demands of members. The pastor has no vision for the future. The pastor-chaplain is too busy taking care of current member demands. Little time is available for visionary thinking and leadership. The pastor has lost the joy of ministry. Of course, this unfortunate development should be expected. There is no joy in dealing with unreasonable expectations and constant streams of criticisms, or with a ministry that has no evangelistic fruit. I pray you pastors will look at these ten items as a checklist for your own ministry. And I pray you church members will look at the list and honestly evaluate your church to see if you have pushed your pastor into full-time chaplaincy. This article was originally published at ThomRainer.com on September 7, 2015. Thom S. Rainer serves as president and CEO of LifeWay Christian Resources. Among his greatest joys are his family: his wife Nellie Jo; three sons, Sam, Art, and Jess; and seven grandchildren. Dr. Rainer can be found on Twitter @ThomRainer and at facebook.com/Thom.S.Rainer. Let me begin by asking you a question: When you set out on a trip, do you just load up the car and start driving? Do you go to the airport and buy a ticket on the next available flight, no matter where it’s going? Probably not. There’s no telling where you might end up, and it could be someplace you really don’t want to be. Your destination is your goal. If you’re feeling hungry for great barbeque, you want to go Kansas City. But if you want to enjoy the view from the top of the Empire State Building, you’d best head for The Big Apple. Success in life, spiritual and otherwise, is every bit as much a destination as is a physical place. Now if you want to reach that destination, you need to know what that destination is, and then you need to have a plan for how to get there. That is what we mean when we talk about setting and achieving goals. In this article we want to discover what the book of Proverbs has to say about how to achieve our goals. And while the word “goals” is never used in Proverbs, the concept most definitely is, as we shall see. I have spoken to people who are opposed to the concept of goals – especially Christian people, who seem to think that it is somehow unspiritual. Yet the book of Proverbs gives us some very good reasons for doing this. It is quite obvious that God wants us to make plans for the future, and wants us to follow those plans until our goals are reached. But if our plans and goals do not include God and living for Him as our principle purpose, then those plans and goals should not be put into practice. We are given one lifetime, and we need to make the most of it while we can. If I am going to be a good steward of the time that God has given me on earth I am going to use that time to accomplish as much as I can. When I set a goal, and then take the steps toward reaching it, I am making wise use of my time and accomplishing much more than I could have otherwise. I’m not talking about just in the area of work, I’m talking about using time in the best possible way – this includes time for your family, relaxation, and other needs. When we set goals that are financial, spiritual, and recreational, we will find that we will be able to enjoy more of those things than we ever have before. If the ants know how to be good stewards of their time, surely we can too. I once had a staff member at church that was getting very little accomplished and his area of ministry was suffering greatly. When I spoke to him about planning, setting goals and the wise use of time he looked at me as if I were from another planet. Even after continued encouragement and instruction he refused to change anything and we eventually had to let him go. As leaders in the church, we are responsible for how we spend our time. Not only are we being paid for our work, but we are doing it as a ministry for our God and Savior. I don’t know about you, but I like to be able to measure my progress. Let’s say that I set a goal to read through the New Testament portion of the Bible in the next year. I count up the chapters and discover that there are 260 of them. So I divide 260 by 52 weeks in a year and find out I only need to read five chapters per week to finish the New Testament in one year. So I could read just one chapter a day, Monday – Friday and I would accomplish my goal. But each day as I read, I’m going to check off that chapter and be able to see that I am making progress toward my ultimate goal. It is very motivating. This same principle is true if I’m investing money, or wanting to spend quality time with my family, or working toward a college degree. Because I have a set plan, and ultimate destination, I am able to measure my progress and discover that my goal is definitely reachable. If you are planning a building program, a new ministry emphasis, or stewardship drive, make sure and do it in measurable increments. That way you can see your progress as you move toward your goal. Not only is this helpful for you, but you can show the progress that is being made to the lay leaders and members of your church so they can share in the encouragement and motivation such planning brings. This is true in all areas, but it is especially true if I’m setting financial or work-related goals. If you want to get ahead in life, you are going to have to set goals, and then work hard to reach them. Notice that the Proverbs writer stipulates that we must “honor the Lord” with our wealth if we expect Him to bless us financially. If you want to have a better income than you have now, you have to plan and work for it – there is nothing wrong with that, as long as we keep it all in perspective and keep God at the heart of it all. As I said, you can set goals for work, for investing, for your family, for education, for weight loss, and just about any area of life that you need to plan for. And while I don’t think there is any limit as to what kind of goals you should set, I think that as a Christian leader, they should at least follow these three guidelines. Any goal that is unethical in any way, or keeps you from following God with integrity is a goal that you need to get rid of. Integrity is the one thing no one can take away from us, but we can give it away through dishonorable behavior. 1) Can I honestly ask God’s help in striving to reach this goal? Is there anything I’m planning that I would not be able to pray for God’s assistance with? Is there anything about it that would embarrass me before God? 2) Will I be a better person for accomplishing this goal? In the process of reaching this goal, and in the accomplishment of it, will I be a better father or mother, a better student, a better businessman, a better son or daughter, a better minister of the Gospel? Is there something inherently good about what I am doing that will help me develop character, integrity, honesty, and those types of things? I think Denis Waitly is exactly right – and if our goals fit into the S.M.A.R.T. acrostic, they are ones that we will certainly be able to accomplish with God’s help. Attainable – When you identify goals that are most important to you, you begin to figure out ways you can make them come true. You develop the attitudes, abilities, skills, and when necessary, the financial capacity to reach them. You begin seeing previously overlooked opportunities to bring yourself closer to the achievement of your goals. You can attain most any goal you set when you plan your steps wisely and establish a time frame that allows you to carry out those steps. Goals that may have seemed far away and out of reach eventually move closer and become attainable, not because your goals shrink, but because you grow and expand to match them. When you list your goals you begin to develop the traits and personality that allows you to possess them. Realistic – To be realistic, a goal must represent an objective toward which you are both willing and able to work. A goal can be both high and realistic; you are the only one who can decide just how high your goal should be. But be sure that every goal represents substantial progress. A high goal is frequently easier to reach than a low one because a low goal exerts low motivational force. Some of the hardest jobs you ever accomplished actually seem easy simply because they were a labor of love. Your goal is probably realistic if you truly believe that it can be accomplished. But if you say that your goal is to read through the Bible every single day of your life, you are not being realistic at all. And when you set unrealistic goals, you’re just setting yourself up for a letdown. Timely – Set a timeframe for the goal: for next week, in three months, by fifth grade – whatever your goal is, it needs to have a beginning and an ending point. Putting an end point on your goal gives you a clear target to work towards. If you don’t set a time, the commitment is too vague. It tends not to happen because you feel you can start at any time. Without a time limit, there’s no urgency to start taking action now. When your goals fit into the criteria we’ve mentioned so far, you will be blessed, God will be blessed, and the people around you will be blessed. But we need to understand that there is a price to be paid for these goals. If the goal is a good one, the price paid will be well worth it. If I’m going to climb up the corporate ladder, I am going to have to work very hard, improve myself in any number of areas, and consistently gain new skills and abilities. If my goal is further education, I am going to have to study hard, pay for my tuition, and be willing to devote a large portion of my life to school. Now the first part of Paul’s goal is something many people could align themselves with – to “know him (Christ) and the power of his resurrection.” But another part of his goal was to “share his (Jesus’) sufferings, becoming like him in his death.” Paul felt that to fully identify with Christ, he needed not only to share in His power and glory, but also share in His suffering. And that is exactly what he did throughout his ministry – share in the sufferings of Christ. That was the price he was willing to pay. Some of life’s goals lead us to share in that same type of price, and for others, it is a cost not quite so great – but there is always a cost. If we are going to be achievers in any area of life, we must be willing to do, say, and experience whatever is necessary to reach our goals. Sometimes the experience of paying the price shapes us more than the reaching of the goal. I hope that you’ve decided to set some goals today. Perhaps you’ve decided to learn how to be a better preacher, and you’re going to take the steps necessary to reach that goal. Or maybe you’re going to make a decision to go back to school and finish your degree, or start on another one. Or perhaps you’ve decided that your prayer life isn’t what it should be, and you’re going to begin spending at least 15 minutes in prayer every day beginning today. Whatever your goal, make sure to allow God to be the main motivation for whatever you decide to do, and you can’t go wrong. 2Adapted From Paul J. Meyer, Paul. J. “Attitude Is Everything” and other sources. The Bible is not a book about the devil. The Bible is about God. This truth matters, as many people interested in spiritual warfare give the devil more attention than the Bible does. That approach simply distorts the biblical picture of warfare. The enemy is real. Paul was clear that we wrestle against principalities and powers (Eph. 6:12). Peter knew an enemy seeks to devour us like a roaring lion (1 Pet. 5:8). No hermeneutical gymnastics can legitimately erase this spiritual reality. The battle is not ours. David recognized that when he fought Goliath (1 Sam. 17:47). Jehaziel reminded Jehoshaphat of that truth (2 Chron. 20:15). God is our warrior (Exo. 15:3). He always has been and always will be. People are not the enemy. Paul was equally clear that we do not wrestle against flesh and blood. Even when people frustrate and anger us, they are not the enemy. When we remember this truth, we will love, shepherd, and pray for people differently. 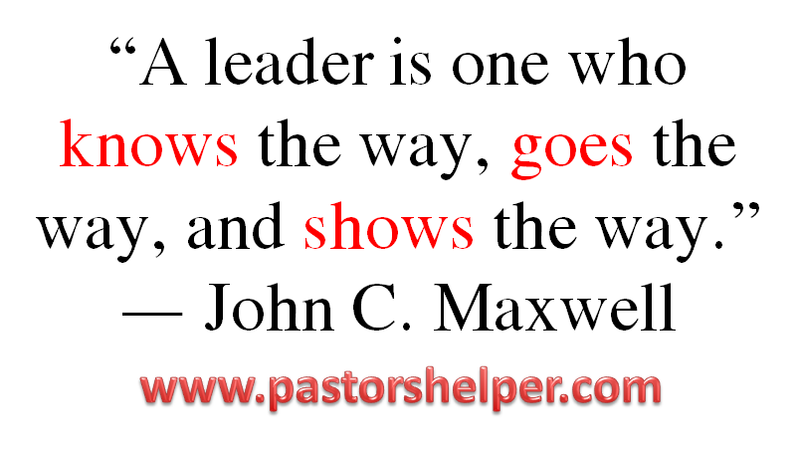 Leaders are a primary target for the enemy. That truth shouldn’t surprise us. The enemy knows that when leaders fall, followers are wounded in the process. I doubt I need to spend time listing the prominent Christian leaders who have fallen in the last few years. The enemy strikes at marriages. Satan sought to divide Adam and Eve (Adam turned on Eve and blamed her after their sin in Gen. 3), and he has attacked marriages since then. When marriages are destroyed, their witness to the gospel (Eph. 5:25) gets distorted – and, future generations are harmed in the process. Self-dependence is evidence of the enemy’s work. Satan is not alarmed by church leaders who operate in their own ability. All of our training and experience is no match for the subtle schemes of the enemy. Hiddenness is a warning signal. The enemy often operates in the darkness. He delights when we sin and choose to keep our sin in the secret places of our lives. In no way does he want us to confess our sin. Leaders often fight their battles alone. Sometimes leaders must stand alone, but too often they have no close team around them to help them win spiritual battles. Loners are by nature vulnerable to attack and defeat. Sometimes leaders take on the enemy with too little prayer. Self-confident leaders are like Jesus’ disciples who tried to cast out a demon without praying (Mark 9:14-29). They do not pray, pray only superficially, or pray only after the battle has been lost. Even the best leaders may find themselves in non-stop warfare by God’s design. The Apostle Paul was God’s uniquely called apostle, but still he dealt with an ongoing thorn in the flesh (2 Cor. 12:7-10). God left Paul in the battle so he would always recognize God as his strength. Spiritual defeat need not be final. Simon Peter failed miserably when he denied knowing Jesus (Luke 22:54-61), but the story was not over. Jesus welcomed him back into His band of disciples and then used him to preach the gospel to Jerusalem (Acts 2). The enemy will not ultimately win. He will spend eternity in the lake of fire (Rev. 20:10). Whether planting churches or revitalizing established congregations, church leaders can know they are ultimately on the winning side. Hell will not defeat the church. Take time now to thank the Lord for victory in the battle. This article was originally published at ThomRainer.com on July 2, 2015.